The judiciary have typically been Australia’s unsung heroes of preventative health. Some of the most significant advances that improved the health and wellbeing of generations were made possible by decisions from judicial officers. Successful litigation against manufacturers resulted in mandatory airbags in cars and stopped the tobacco industry from targeting children in its advertising. The passage of such cases through the courts forced critical preventative health issues onto Australia’s public policy agenda, expanded public awareness and avoided deaths, disease and injuries. With regulation of venues that serve and sell alcohol however, our research conducted as part of work for the Prevention Centre, shows the law is not serving the public health interest so well. That’s because the law does not sufficiently support the judiciary to consider alcohol-related health impacts in its decision making. Strong evidence exists that where there is a higher density of liquor outlets and cheap alcohol more readily available, there are higher rates of alcohol-related crime, domestic violence and poor long-term health outcomes, particularly in areas of social disadvantage. Recently colleagues and I conducted Australia’s first study of case law relating to appeals over the rejection of liquor license applications or development applications for retail liquor outlets, pubs and clubs. We have found the law as it stands means regulatory systems are open to being shaped by industry interests. Our research shows when development applications for new alcohol outlets are rejected, groups with vested interests, such as the alcohol industry, take local governments to court and win – even when hundreds of community submissions have been received opposing the developments. We found that of 44 cases going to court from 2010 to June 2015, 90 per cent involved the alcohol industry taking action against local or state governments and 77 per cent resulted in outcomes that favoured the alcohol industry and the developments went ahead. In one case example, the court granted development consent for a large purpose-built liquor outlet in East Nowra, a disadvantaged community already struggling with some of the highest rates of alcohol-related crime and domestic violence in the state. Arguments put forward based on evidence that selling more cheap liquor at new outlets would exacerbate existing problems of foetal alcohol syndrome, neglect, physical and sexual abuse and poor school attendance, were not deemed applicable. Currently, the legislation requires courts to consider competition principles. It limits the circumstances in which the judiciary can restrict the rights of the alcohol industry to serve and sell alcohol. Meanwhile there is no requirement for them to consider the health implications of planning decisions around alcohol. A driver of this has been broader micro-economic policy within Australia. Landmark National Competition Policy (NCP) agreements in 1995 brought a suite of changes to existing legislation, including planning laws that shape the built environments in which we live, work and play. As a result, alcohol regulation was relaxed and authorities trying to lessen community exposure to alcohol were largely restricted to considering market freedoms, amenity and the compatibility of development proposals with planning controls. Public health evidence regarding risks of alcohol-related harm has little or no influence in many of these cases because there is no requirement for legislation to consider health benefit. Our research also found courts regularly disregard expert evidence on the risks to community health from alcohol sales because it is too general and not relevant to the specific locality. This has resulted in cases where liquor outlets were established only 250 meters away from a childcare centre and primary school. Judicial officers said they had no authority to reject the proposal and that evidence did not exist to link the outlets with unacceptable social impact in those communities. Right now, there is little the courts can do. Judges can only decide on cases that come before them, largely unable to consider social concerns that have not been explicitly addressed in previous cases or legislation. The law is shaped incrementally and often evolves independently of a broader public health agenda. Judicial officers tend to be non-intervening adjudicators of disputes – which means there is no consistent, system-wide approach to controlling alcohol in some of the most socioeconomically disadvantaged communities. To create healthier communities, the judiciary must be given greater flexibility to incorporate public health considerations in their decision making. A top-down approach is required to make public health objectives explicit in planning and liquor licensing controls. A good example to consider is the NSW Drug Act, which acknowledges public health imperatives and has delivered better outcomes, including a reduction in drug-related crime. Guidelines or benchmarks for judicial decision makers would require industry to address potential harms to the local community, alongside other important considerations like competition. Such laws would enable efficiencies by preventing costly litigation, while providing clarity and guidance for communities and industry alike. Greater legislative support for public health considerations would support local and state governments to build environments that are healthy, equitable and prosperous. That, surely, is what the law is for. 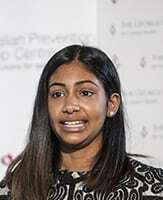 Jan Shanthosh’s research was conducted as part of her PhD in public health and law supported by The Australian Prevention Partnership Centre, based at the Sax Institute.